So if you have been following, I mentioned in the last blog that I would be sharing more stories about meals with friends and family. On my way home today, I connected with a really good friend of mine, Jamie. One particular meal that comes to mind was the fabled “smoker” meal. As per usual, some great meals are connected with alcohol and fun… why else would you be cooking? Let me set the scene. It was the second night of yet another bachelor party, we had just wrapped up playing 12 holes of golf. Yeah I said it, 12 holes of golf. Because we were in the south, in mid summer, with a hangover, during a heat spell. As my grandfather Buck would say, “it was hotter than two rats screw’n in a wool sock” don’t ask, just let that one simmer. Again, I had promised everyone that I would hook up a great meal when we got back to Jamie’s house. Of course as soon as we got there, everyone was immediately complaining about how hungry they were. 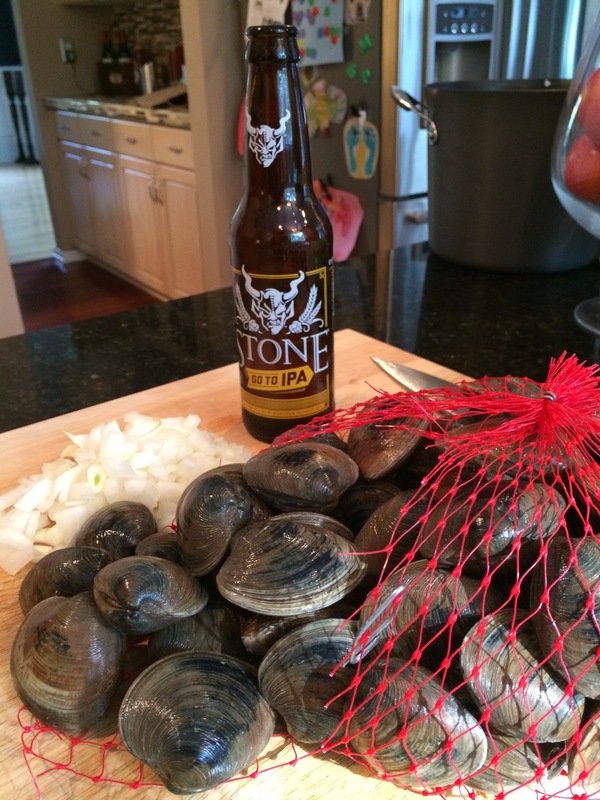 So I whipped up some IPA clams. Super easy. Butter, Shallots, Salt & Pepper. Add IPA of choice. Clams for the win! If you want to finish it with some basil, and thai chilies (or any kind of hot peppers you have), even better. While this was all going down, I asked Jamie to fire up his smoker. We smoked 2 or 3 whole chickens. Here is the approach. 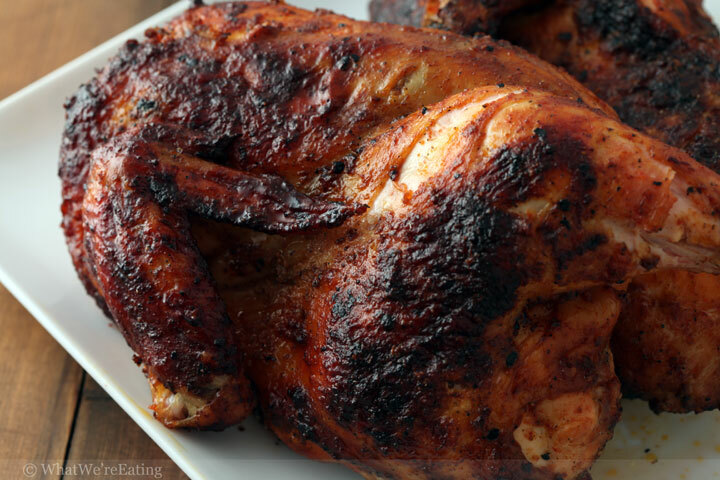 Dry Rub, created out of WHATEVER YOU HAVE IN THE KITCHEN… If you are looking for something that will really be killer, try this BBQ Coffee dry rub. I have done a version of this many times over, and it ALWAYS comes out delicious. We finished this all off with a Peach Burbon BBQ sauce that was simmering while the smoker was going. BOOM. The only flack I was taking now was a dull grumble that sounded like a few donkeys eating hay in the distance. Just pinned the clams. Basil and Thai chilies, great idea!